Corey received his Ph.D. in clinical psychology from Queen's University. He completed his clinical training at Baycrest and joined the Department of Counseling Psychology at OISE/University of Toronto before joining the Department of Psychology at the University of Manitoba. Corey is currently a Professor, a Research Affiliate with the Centre on Aging, an Adjunct Professor in the Department of Psychiatry, and Director of Clinical Training of the UofM's clinical psychology program. When he's not busy with the lab Corey spends loves spending time with his family and friends, heading out on his road bike, and listening to music. Brooke is in the third year of the PhD program in clinical psychology at the University of Manitoba. Brooke’s primary research interest is in mental health help-seeking and service utilization among older adults. Her dissertation research is focused on exploring mild cognitive impairment (MCI) caregivers’ identity, mental health, and support needs. This research is funded by a Joseph Armand Bombardier Canada Graduate Doctoral Scholarship and the University of Manitoba’s Centre on Aging. Following completion of her doctoral studies, Brooke plans to work with the public in a mental health or hospital setting. In addition to her interests in clinical work and research, Brooke likes to spend her free time outdoors and at the lake. Maia Kredentser is currently in the final year of the PhD program in clinical psychology. Maia’s primary research interest is in psychological issues in end-of-life care for patients with chronic and terminal illness and their caregivers. This research is funded by the Canadian Institutes for Health Research and the University of Manitoba’s Centre on Aging. After completing her degree Maia has accepted a full-time position as an Assistant Professor in the Department of Clinical Health Psychology at the University of Mantioba. Outside of research and clinical work, Maia enjoys spending time with her family and friends (human and feline), and tries to keep up-to-date on celebrity gossip and Netflix. Lindsay is in the first year of the PhD program in clinical psychology at the University of Manitoba. Her dissertation research will focus on the development of a valid and reliable self-report measure of self-reliance concerning mental health problems. Additional research and clinical interests involve how significant life and/or health care changes affect mental health. Outside of her department and university service, Lindsay volunteers with the Alzheimer’s Society of Manitoba and Make-A-Wish Canada, improving the mental health of families utilizing these services. In a former life Lindsay had a successful career as an Interior Designer, and continues to fill her free time with creative projects. Belal is currently in the second year of the MA program in Clinical Psychology at the University of Manitoba. 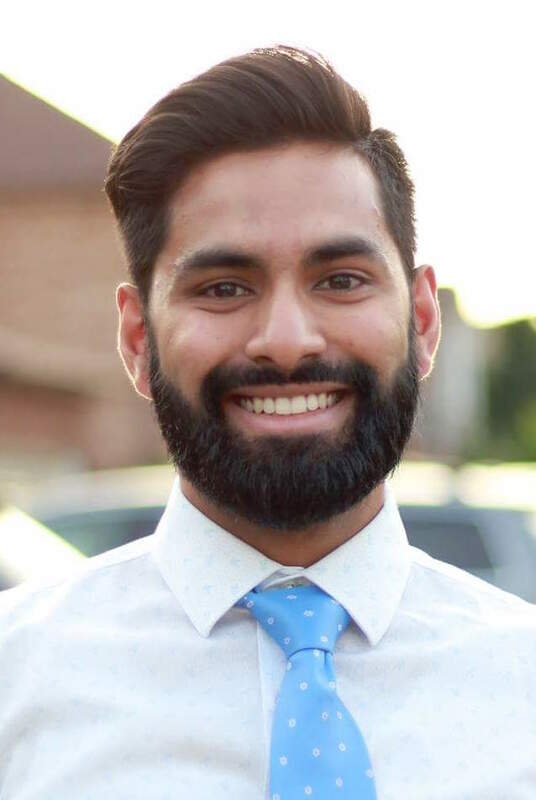 His Master’s thesis research examines the applicability of an internalized stigma model of mental health service use for Muslim Canadians, and whether the model is moderated by the degree to which individuals are acculturated. This project is consistent with Belal’s overarching interests in mental health service use in older adults from immigrant and ethnic populations. Belal can usually be found grooming his beard with a book in hand and funky socks on his feet. Ryan Nicholson, Ph.D. graduated in 2018 and is currently working in private practice with the Mind Matters Clinic in Winnipeg, Manitoba. Patricia Poulin, Ph.D. graduated in 2007 and is working as a clinician scientist in the Chronic Pain Unit at The Ottawa Hospital.